In this episode we get some basic orientation in the complex tradition known as Hekhalot (a.k.a. Merkavah mysticism, a.k.a. Hekhalot mysticism, a.k.a. early Rabbinic Gnostic Judaism, etc. etc.). This marks something of a milestone for the SHWEP, as we have now arrived at what might be called the first fully-fledged western esoteric tradition. We are now in the Rabbinic tradition, and things are getting serious. Visionary ascent through psychedelic heavenly palaces? Check. Magical passwords needed to pass guardians along the way? Check. Addressative magic aimed at summoning and controlling spiritual agencies? Check. The Hekhalot tradition is a little-known but fascinating – and crucial – chapter in the story of Jewish esotericism. We introduce it, discuss our sources and the state of the textual corpus, discuss the longest and most stable Hekhalot text (the Hekhalot Rabbati), and do a basic survey of some of the scholarship on these texts over the last half-century or so. Davila, J. R., 2001. Descenders to the Chariot: The People behind the Hekhalot Literature. Brill, Leiden. The merkavah descender as ‘shaman-healer’. Davila, J. R., 2013. 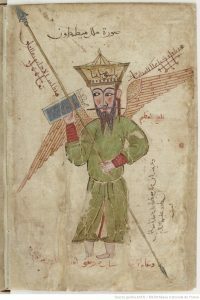 Hekhalot Literature in Translation: Major Texts of Merkavah Mysticism. Brill, Leiden. Ibid. 1988. From Apocalypticism to Gnosticism: Studies in Apocalypticism, Merkavah Mysticism and Gnosticism. Peter Lang, Frankfurt. Halperin, D. J., 1980. The Merkabah in Rabbinic Literature. American Oriental Society. Halperin, D. J. (1988). ‘The Faces of the Chariot: Early Jewish Responses to Ezekiel’s Vision’. In: Halperin, D. J. (Ed. ), The Merkabah and the Apocalypses, Mohr, 63-114. Lesses, R. M. (1998). ‘Ritual Practices to Gain Power: Angels, Incantations, and Revelation in Early Jewish Mysticism’, Harvard Theological Studies 44. Ibid, 1960. Jewish Gnosticism, Merkabah Mysticism, and Talmudic Tradition. Jewish Theological Seminary of America, New York, NY. Wolfson, E., 1997. Through a Speculum that Shines: Vision and Imagination in Medieval Jewish Mysticism. Princeton University Press, Princeton, NJ. 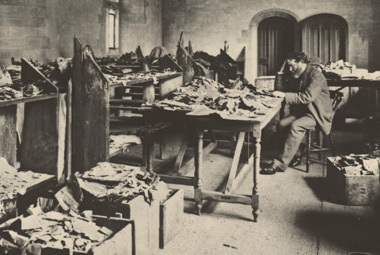 If you know Aramaic, Judæo-Arabic, and/or Yiddish and would like to help scholars sort through the more than 300,000 documents of the Cairo Geniza, there is an amazing citizen-science project to get involved in! Schäfer, P., 1984. Geniza-Fragmente zur Hekhalot-Literatur. Mohr Siebeck, Tübingen. Schäfer, P. and et al. , G. R., 1986. Konkordanz zur Hekhalot-Literatur. Mohr Siebeck, Tübingen. Schäfer, P. and Hermann, K., 1995. Übersetzung der Hekhalot-Literatur I §§ 1–80. Mohr Siebeck, Tübingen, Germany. Schäfer, P. and Hermann, K., 1987. Übersetzung der Hekhalot-Literatur II §§81–334. Mohr Siebeck, Tübingen, Germany. Schäfer, P. et al, 1989. Übersetzung der Hekhalot-Literatur III §§335–597. Mohr Siebeck, Tübingen. Schäfer, P. et al, 1991. Übersetzung der Hekhalot-Literatur IV §§598–985. Mohr Siebeck, Tübingen, Germany. Schäfer, P.; Schlüter, M. and von Mutius, H. G., 1981. Synopse zur Hekhalot-Literatur. Mohr Siebeck, Tübingen, Germany. Good general orientations in the bewildering forest of Hekhalot texts are Peter Schäfer, The Hidden and Manifest God and the first chapter of Davila, Descenders to the Chariot, both listed below. Artifact, Currents in Biblical Research : 130-160. Journeys. State University of New York Press, Albany, NY. Davila, J. R., 2001. Descenders to the Chariot: The People behind the Hekhalot Literature. Brill, Leiden. Himmelfarb, M. (1988). ‘Heavenly Ascent and the Relationship of the Apocalypses and the “Hekhalot” Literature’, Hebrew Union College Annual 59 : 73-100. Himmelfarb, M., 1993. Ascent to Heaven in Jewish and Christian Apocalypses. Oxford University Press, Oxford and New York. Janowitz, N., 1989. The Poetics of Ascent: Theories of Language in a Rabbinic Ascent Text. State University of New York Press, Albany, NY. Janowitz, N., 2002. Icons of Power: Ritual Practices in Late Antiquity. Pennsylvania State University Press, University Park, PA. See pp. 72-5 for a good summary of the debate over the dating and coherence of the Hekhalot texts. Maier, J. (1963). ‘Das Gefährdungsmotif bei der Himmelsreise in der jüdischen Apokalyptik und ‘Gnosis.’’, Kairos 5 : 18-40. Reed, A. Y., 2005. Fallen Angels and the History of Judaism and Christianity: The Reception of Enochic Literature. Cambridge University Press, Cambridge, UK, and New York. Schäfer, P., 1992. The Hidden and Manifest God: Some Major Themes in Early Jewish Mysticism. State University of New York Press, Albany, NY.